We have connected thousands of business owners and individuals to local licensed tax preparers for a free, no-obligation consultation. If you are unhappy with your current tax preparer or don’t have a tax preparer and think you may need one, we can help! Our service to connect you with a local tax preparer is completely free. Simply submit the form on this page. Based upon the information you provide we may help you find a few local licensed tax preparers that match your criteria. I knew taxes took way too much time to worry about. What I didn’t know was how easy (and surprisingly affordable!) it is to have someone do them for you. Easy choice. I started my own business last year and put off doing my taxes for months, fearing how difficult it would be. 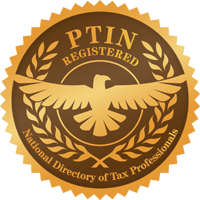 PTINdirectory found me a tax preparer who is a LIFESAVER. I’m never doing this **** myself again!